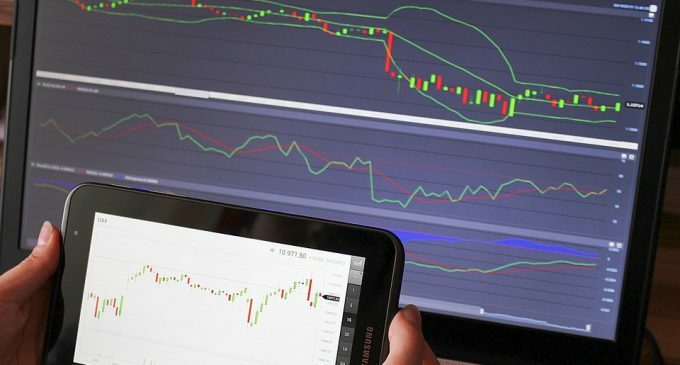 In our last weekly crypto analysis, we have mentioned that Bitcoin could continue to be subdued and that is exactly what happened. Even though the price action is still located inside a triangle formation, we see a mild response from the buyers this week, communicating a downside breakout might occur. The breakout had not taken place, yet, so anything might happen. It’s just that the overall picture does not look encouraging for the bulls. If the conditions won’t change and no impulsive buying activity will be seen around the bottom line of the triangle, everything it settled for a nice bearish breakout. 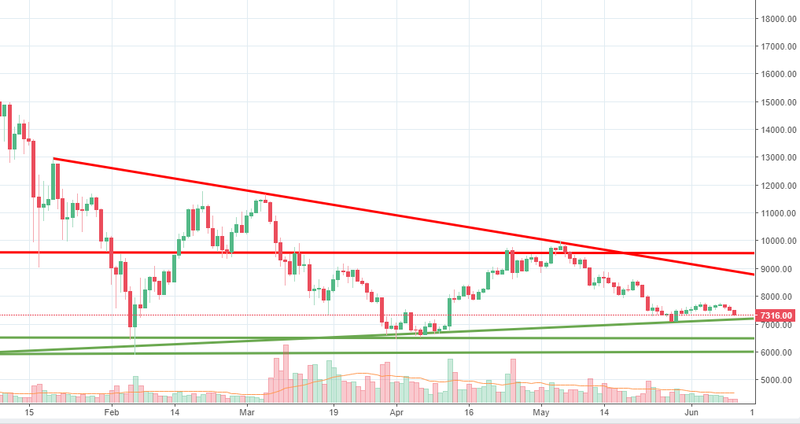 Below the bottom triangle line, 6,500 and 5,900 – where the 2018 low is also located, should act as a short-term support level, although a break below the triangle could put Bitcoin under pressure for a longer period of time. If the price action will continue to fluctuate inside the triangle pattern, we expect to see a new rebound towards the upper line. Six out of the last seven daily candles are red, with the current one covering the most ground. That is not a good sign for Ethereum buyers since it could signal further weakness in the near term. With growing competition, especially from EOS, we suspect Ethereum will continue to be under pressure in the following months. However, in the short-term, the price could continue to weaken towards the 515 support level. We’ve seen increased activity around that level in the last few months, so buyers could start a new leg up around it. A breakout below it will not be a good sign since the drop could accelerate towards 410 support. On the upside, resistance had emerged around 618 on Monday and buyers were unable to breach above it. If the price rebounds from the current point, buyers will have a hard time breaking the above-mentioned level. Another cryptocurrency that had been under pressure for the past week is Monero. The price is now little below the key support area located at 151. We’ve seen heavy buyers resuming around it in the past, but now the situation is completely different. Sellers had managed to break below it and a daily close below the level, followed by a weak response from the bulls could mean the coin will continue to slide. 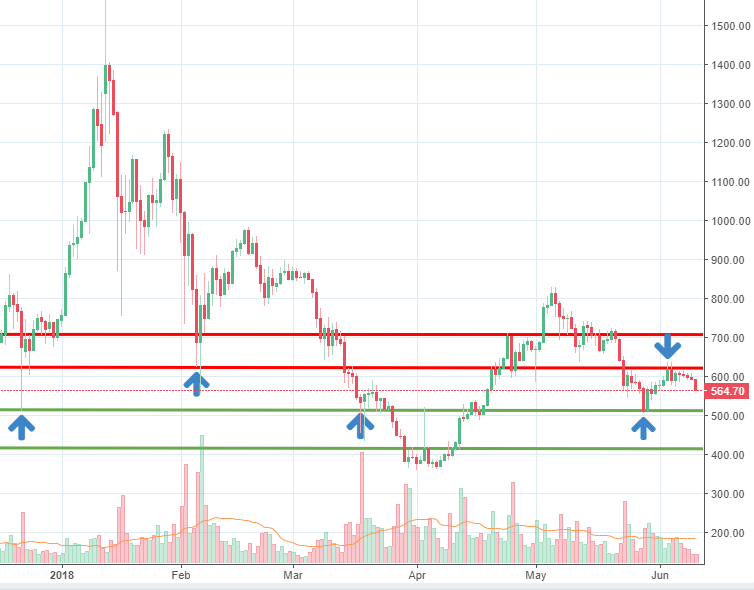 If this scenario will materialize, we expect Monero to dip towards the 85 support area, where some bullish interest might emerge again. On the other hand, if buyers will manage to accumulate enough below the 151 support, we could see a relief rally towards the 205 resistance level. At the present time, sellers are in control, so we maintain our bearish view for the following days. According to icoalert.com, an ICO that is currently running and looks interesting is SONDER – a high-secure payment algorithm designed for e-commerce. The ICO will run for 12 more days. In terms of ICOs that will start in the near term, Triggmine is a project that aims to develop AI-driven E-mail marketing solution backed by smart contracts. The token sale will start on June 11th.